I clasped a pillow over my face and squirmed in my seat as I waited for Grace Kelly to make up her mind. Would she run after her recovering alcoholic husband or into the arms of the younger man who had recently swooned her with a passionate kiss. I breathed a sigh of relief when, upon gazing at her husband, watching him overcome his temptations, she runs after him ... and the movie ends. The last post I wrote concerned a movie, or rather a trilogy of movies, which disappointed me. This week, I went back sixty years to give an hour of my attention to a film which actually gives the viewer something to take away, something to ponder at the end of their day. The film was Country Girl, starring Grace Kelly, Bing Crosby, and William Holden, and what I took away was an interesting, yet apparently archaic principle practiced by our apparently ignorant forefathers. That principle: faithfulness. These old-fashioned morals seem to be going out of style or at least appear too difficult to practice. These romantic ideals seem to be just that: ideals. Dreamy notions. Unrealistic and out of reach. It may be that I believe in these principles because I am a romantic dreamer. But I like to believe that my concept of faithfulness stems from the shining witness of my parents and my relationship with them. I remember as a child I knew that my parents would always be there for me when I needed them. When I was afraid, I knew I could run into my father or mother's arms. When I was lonely and sad, I knew comfort and love were not far away. This is the faithfulness a child knows. Faithfulness, which no one can rightly call outdated, is woven into the fabric of our humanity, written into our inherent needs, wants and desires. We want to be loved thoroughly and exclusively til the end of our days. Therefore, I could never comprehend the modern understanding that when we leave our parents and the safety of their always open arms we should not continue to practice faithfulness or continue to expect it from others, particularly our husbands and wives. But apparently loyalty is no longer a natural attribute of love, but an optional form of affection. And likewise, a woman or man who is burdened by their spouse's flaws, yet stays by their side, is looked at as degraded and enslaved. I would like to present to you a view on faithfulness, specifically within marriage, which denies and even condemns many of these modern misconceptions. Let it be said - I am not trying to make light of marriages which involve violence or estranged mental illnesses which are hidden from unsuspecting spouses. 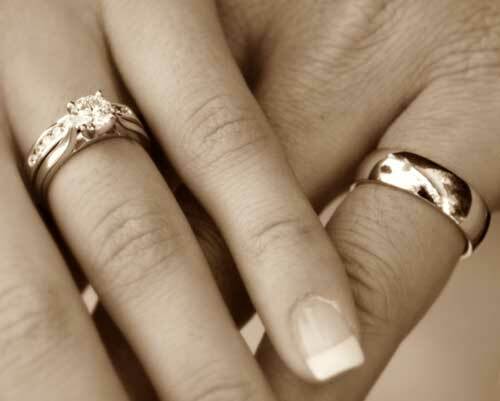 It is a grave and serious tragedy for a marriage to suffer from any addiction or disease. And if and when violence ensues, the victim must flee the situation. 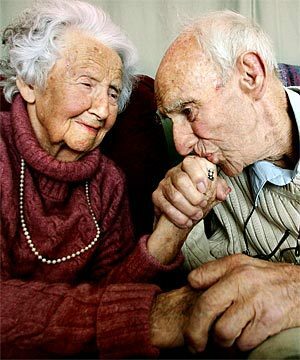 That being said, as the divorce rate increases and our ability to commit to relationships decreases, I believe it is time to call upon the principles and values of our grandparents to teach us a thing or two about the vow "til death do us part." The faithfulness I'm talking about can withstand circumstances which demand heroic sacrifices and heroic love, as well as petty fights and measly squabbles. This type of love is symbolized most adequately by Grace Kelly's role and the roles many wives play every day. Real, sometimes gritty, always strong, love: imperfect, yet steadfast, true and faithful. With faithfulness comes freedom, advises Alice von Hildebrand. We freely choose to serve our beloved, stay by their side when their temper is ugly, their mood disagreeable and their words less than kind. This choice to serve is a great triumph, a triumph of freedom over petty pride. We are not enslaved by this servitude. No habit is as liberating as humility and no victory as glorious as sacrifice. Evil cannot use a humble heart for a means to an end. If this idea of liberating servitude still troubles you, "think of the mother," says Alice, "who cares so lovingly for her child, night and day. Is she a slave, degraded by her service? Or is she, heedless of her own comfort, a model of sublime love made joyful by her difficult service? Like the mother who cares selflessly for her child, the person who loves finds joy in serving his beloved"(69). I can only imagine that, when I have children, the love their future spouse has for them will be an extension of my own, only amplified to a higher spiritual and physical degree. Alice von Hildebrand, By Love Refined: Letters to a Young Bride, 16-33. An excellent piece. It should be required reading- not just for engaged couples, but married couple as well.